Occurs extremely sparsely around the whole island group, but is somewhat more common on the north and east sides. Usually seen singly and often together with foraging Arctic Terns and Kittiwakes, and often by the edge of glaciers. 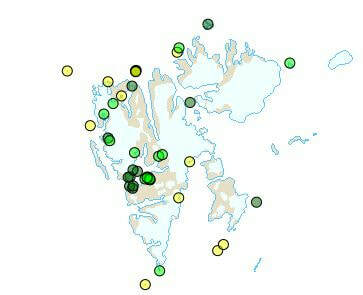 The species seems to be gradually becoming more common and is frequently being seen at new sites. Breeding has been proved at only a handful of localities, but probably about 50 pairs breed. Features: Ca. 30 cm, 150-215 gram. ♂=♀. A small slim and elegant gull which in flight can resemble a tern. Easily recognizable by the dark hood and distinctive wing pattern. 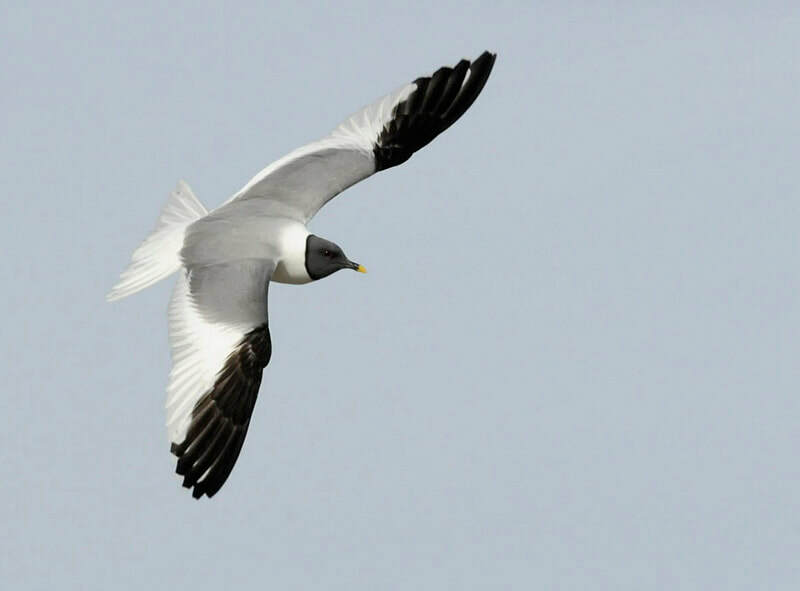 The young can be confused with the young of other small gulls, for example of Kittiwake. Has a distinctive hoarse, grating scream that can remind one of a tern. The warning call is a repeated «krii-kriii» that can resemble the warning call of a Black-headed Gull. ​Breeding: Normally nests next to Arctic Tern colonies and warns clearly if one disturbs them at the nest site. Lays two or three eggs in a hollow on the ground, lined with a little dry grass and plant remains. The eggs are clearly larger than those of terns.